Calling weekday bouncers, home ed kids and school skivers! ???? Got some spare time in the week? Home ed kids fancy a different way of getting active and meeting other home ed children? 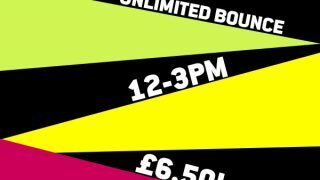 Between Monday and Friday you can bounce unlimitedly for only £6.50! Sheffield and Leeds, please call 0330 0882267 to book or simply walk in! See you on the springs!